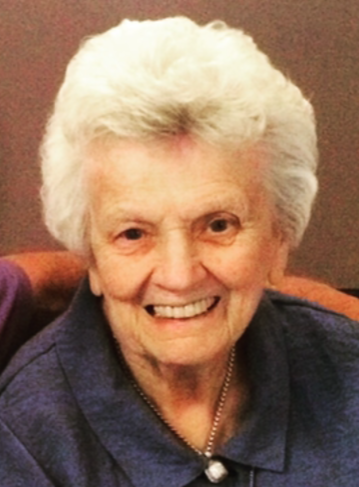 Winifred A. Berberick 1933-2019 West Hartford- Winifred “Winnie” Berberick of Norwich, CT and Brewster, MA passed away on March 26, 2019 at Caleb Hitchcock Health Center-Duncaster in Bloomfield, CT. Winifred was born on August 23, 1933, the youngest of three daughters to Ralph and Winifred (Day) Mellor. She attended St. Patrick School and graduated from the Norwich Free Academy in 1951. She received her bachelor’s degree in education from Central Connecticut State University (formerly New Britain State Teacher’s College) in 1955 and taught in the Norwich public school system for twenty years. It was at St. Patrick School in the 6th grade where she met the love of her life, Atty. Frederick C. “Fred” Berberick Jr. They married on July 14, 1956 and were together for 62 wonderful years. Later in life, Fred and Winnie enjoyed many happy times together on Cape Cod, MA and winters in Naples, FL. A favorite pastime was meeting with friends for extended lunches and enjoying activities while living near the ocean. Winnie was an avid fan of UCONN basketball and attended many of the Big East tournaments in Madison Square Garden. She was most happy surrounded by family and one of her favorite traditions was the annual July 4th “Olympics” with the Rathbone family on Cape Cod. Along with being a devoted wife, loving and caring mother, she was a wonderful grandmother. She was her grandchildren’s biggest fan and supporter at every one of their sporting events and in life. Along with her husband, Winifred leaves behind her daughters Sharon Gualtieri and her husband Michael, Sheila Casey and her husband David all of West Hartford, CT. She is also survived by her three grandchildren Michael Gualtieri III of West Hartford, CT, Tyler Gualtieri and his wife Joanna of Milton, MA, Alyssa Gualtieri of Brewster, MA and many nieces and nephews. In addition to family, Winifred leaves behind her lifelong best friend, Marjorie (Dahl) Bouton of Champaign, IL. She was predeceased by her parents, as well as both her sisters, Vera Mellor and Mary Rathbone. The family would like to extend their sincerest gratitude to the staff, nurses and aids at Caleb Hitchcock Health Center-Duncaster. Their love, devotion and care of Winnie will not be forgotten. A Mass of Christian Burial will be Tuesday April 2, 2019 at 10 AM at the Cathedral of Saint Patrick 213 Broadway Norwich, CT with burial to follow in St. Joseph Cemetery in Norwich. There are no calling hours. Donations can be made in Winifred’s name to the American Heart Association 300 5th Avenue, Suite 6 Waltham, MA 02451 or St. Patrick School 211 Broadway Norwich, CT 06360.